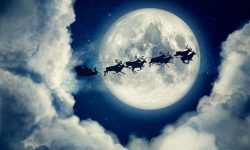 For all Christmas Enthusiasts, Christmas is truly a magical time of year. And for most Christmas Enthusiasts, the yearly tradition of installing Christmas lighting signals the beginning of that magical season. 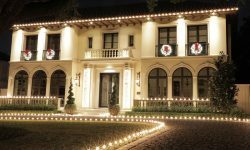 But there's a common scenario that's played out year after year among Christmas Enthusiasts: An enthusiast invests money on his Christmas lighting and outdoor décor. He pours hours of labor into installing those lights, making every effort to perform professional-looking work at every step of the way. And then when it's all done, he stands back, surveys his handiwork - and his shoulders slump in disappointment. Because in spite of his best efforts and all that expense, the results have fallen short of hoped-for expectations. Again. The reason for Mr. Christmas Enthusiast's disappointment? When he looks at a neighbor's house just down the street from his - a house that he knows was decorated by a professional Christmas lighting installation team - he realizes that his lighting job just doesn't compare. The professional job is noticeably crisper and cleaner. It simply looks more, well, professional. "But why?" he wonders. He's not new to this; he has several seasons of experience in installing Christmas lighting under his belt now. Why does the professional job still outclass his? There's a very simple reason; a secret weapon, you might say. 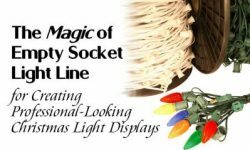 It's a product that almost magically makes it easier to end up with a professional-looking Christmas light installation job. 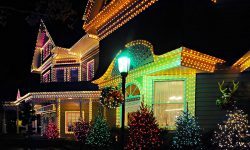 Most home decorating Christmas Enthusiasts buy ready-made stringer light sets for their home displays. But many home installers are unaware that there's a better option, one that every professional installer knows about. It's called empty socket light line. Empty socket line is just as the name implies: it comes with empty sockets. Bulbs are purchased separately, and installed before or during the installation of the line. Professional installers use empty socket lines almost exclusively. That's because they can create custom light lines that are perfectly suited to their needs. Ready-made stringer sets come in fixed lengths. Twenty-five feet, fifty feet, one hundred feet,etc. And if you're using them to decorate your home, you have to cobble together a selection of the fixed-length stringer sets to meet your needs as best you can. Of course, it never comes out just right. Without fail, lines will fall short or run too long. But with empty socket lines, you won't have that problem. 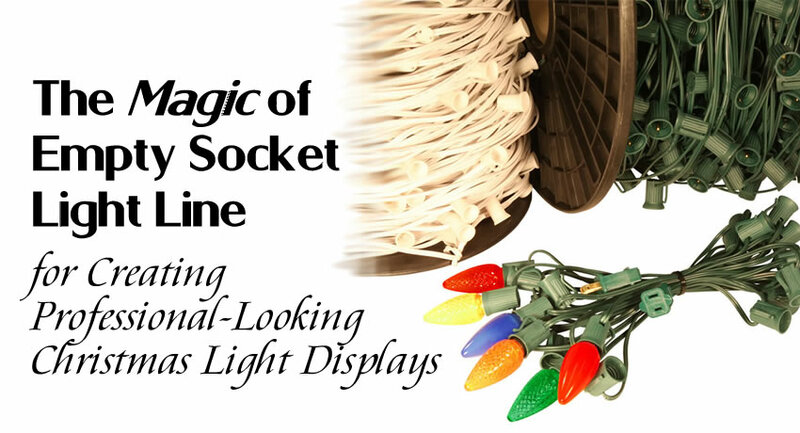 You can buy the empty socket line by bulk in multiple lengths available. And then for each light string that you need, you'll measure out precisely the right amount of line, and cut to length. Then you'll slip electrical connections onto each end, and there you'll have it: a line that's absolutely the perfect length. Multiple spacing options. 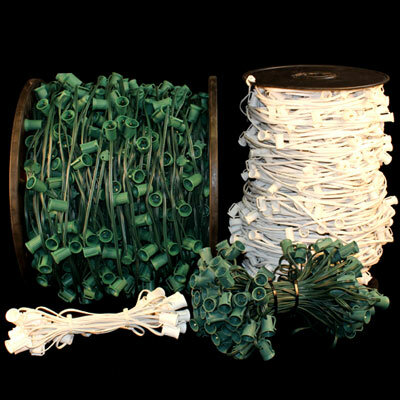 You can buy empty socket lines with bulb spacing in 6", 9", 12", 15", 18", 24" and 36" increments. That gives you incredible flexibility and versatility in the design of your lighting installation. Bulb colors of your choosing. Each empty socket light line is like a blank artist's canvas; just waiting for your unique touch in selecting the color combos for each light line you create. Since you install each bulb in the line yourself, you can use whatever combination and sequence of colors you wish. Your options for customization are limited only by your imagination. Better illumination. LED retrofit bulbs are significantly brighter than the bulbs found in pre-made LED C7 and C9 stringer sets. There's significantly more diodes per bulb allowing for up to 50% brighter output. Less prone to outages. With pre-made stringer light sets, there are inline electronics such as rectifiers and resisters that control multiple bulbs within the set. If one of these components fail, a significant portion of the light set will stop working. When it comes to LED retrofit bulbs, each bulb is a self contained unit. All of the electronics necessary to operate the bulb are contained within the base. So if something fails (which very rarely happens), it only causes a single bulb to go out. Ease-of-use. You don't need to be an electrician to build your own customized light lines. That's because for every empty socket light line you create, you'll simply slip on the male and female plugs. 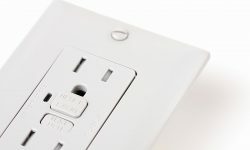 You don't even need any tools (except for wire-cutters to cut the line), because the electrical fittings literally just slip right on. Empty socket light lines are the way to go. 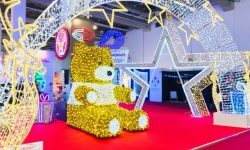 Just like many other Christmas Enthusiasts, you may have been frustrated with your displays in past years. You might have wondered why you just haven't been able to create a display quite up to par with professional jobs. It's just that the professionals had a little secret that you simply didn't know about. But now the cat's out of the bag. And this year, there will be nothing holding you back from having the best looking display on the block. Bet you can't wait to get started!